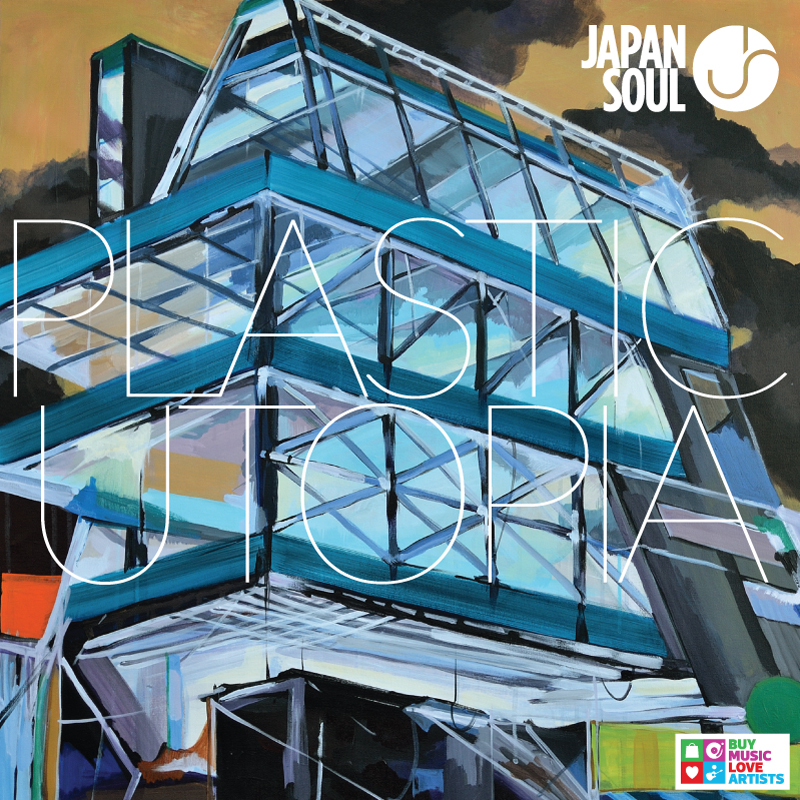 The creative project I’m most excited about at the moment is my band Japan Soul’s debut LP Plastic Utopia created with my bandmates David Rozner and DaVe Lipp. The cover features an amazing painting by my wife and design partner Eva Orzech. I would really love it, seriously, if you would take a listen to the music. We’re allowing 4 (of the 10) songs to be streamed in advance of the release. If you like what you hear, and I hope you do, then I would love it even more if you did something that it seems people don’t do any more. I would love it if you took the bold step of pre-ordering the album. You’ll get the full album delivered to you on April 29. These tracks were made to surprise, delight and enlighten. I hope people will give this album a chance. A chance these days just means a listen. That’s it. Did you listen? Did you like it? Did you think about buying it? Yeah, I know the feeling too. I mean, most of us don’t need to buy music anymore. Truth be told, I don’t make a living doing music. It’s hard to fathom how that would even be possible these days. I certainly spend enough on the production of it. As if it were actually a viable business. Everyone loves music. I sense a malaise that fewer and fewer people actually buy music. This means the actual product of music will become less and less of a real product. That’s a sad thing. The truth is we can’t all decide to stream and actually think we’re supporting artists. Yes, it’s awesome. But new artists who have yet to be discovered don’t stand a chance of going the distance with music if all we do is stream music. When you love something you, the fan, have to double down and commit and buy that thing you love. That is, if you want to give up-and-coming artists any chance at all. I’ve made my own commitment to buy music by newer artists. I’ll stream all the old stuff. I don’t think Led Zeppelin needs my money anymore. They’ve done ok. If music lovers bought just one album a month that wouldn’t break their bank. But it would inject life back into music as a product people actually buy. You don’t have to buy my album (but I hope you do). Buy someone’s album. Maybe buy an album of an up-and-comer. Kanye West will probably make money somehow. He doesn’t need your help. But so many other struggling artists do. We’ll be launching a new campaign at Trasaterra soon to get people excited about buying music again. It’s simply called Buy Music Love Artists. We’re soft-launching BMLA with the Japan Soul Plastic Utopia record cover. Look to the bottom right of the cover. Soon we’ll fully reveal everything about BMLA. It actually is as self-explanatory as it sounds. CLICK HERE TO PRE-ORDER THE ALBUM!